Provincetown Harbor is designated a “safe harbor” and is one of the largest natural harbors in the world. 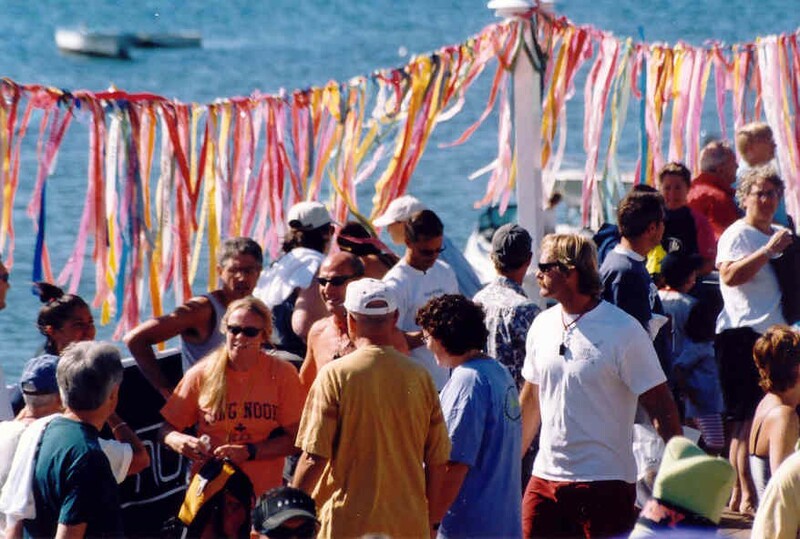 The Swim for Life is both a fundraising event and a celebration of this unique geological gift that gave birth to Provincetown and its symbiotic relationship to the sea. The activation of this water with human bodies navigating its magical essence, along with the neon-colored swim caps and kayaks, has become an important community tradition as we become more aware of the fragility of the natural environment and our place within it. 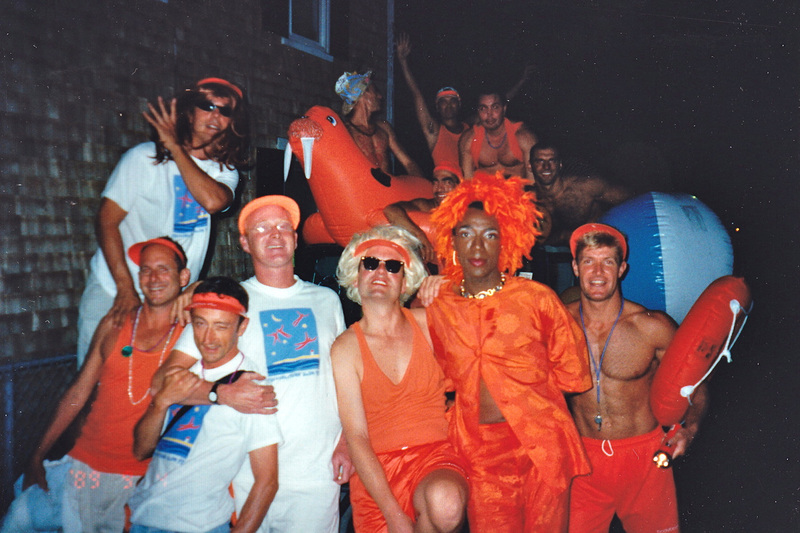 The Swim for Life was started in 1988 to raise awareness and funds to help those with AIDS in Provincetown. Sponsored by the Provincetown Community Compact, the Swim has grown to be one of the largest community gatherings on Cape Cod, bringing people together from around the country and around the corner. Funds now raised from this annual 1.4 mile swim across Provincetown Harbor are donated to many community organizations: Helping Our Women, the AIDS Support Group of Cape Cod, Outer Cape Health, Provincetown Rescue Squad, Lower Cape Ambulance, Soup Kitchen in Provincetown, Provincetown Schools, The Compact Community Fund, Youth Art Reach at Provincetown Art Association & Museum and Accessible Provincetown. 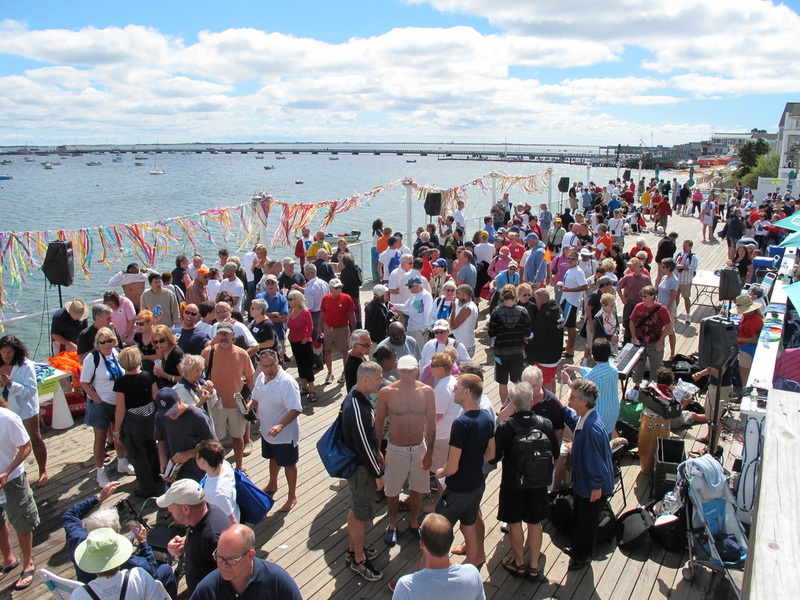 We continue to be humbled by the hundreds of swimmers, paddlers and volunteers who consider Provincetown their spiritual home, and come together for this celebration in commemoration of their loved ones and in the spirit of community. When people gather with passion and vision great things are accomplished. For a quarter century, in one of the largest natural harbors in the world, thousands of swimmers braved its unpredictable waters − its chilly currents, surging tides, and their deep fears − raising nearly $3M for AIDS, women’s health and the community. This quintessential Provincetown tradition symbolizes the heroic efforts of a community devastated by the pandemic and its unequivocal response to it. The Swim for Life & Paddler Flotilla has become a catalyst for a nurturing community, offering connectedness, healthy exercise and continuity for those who return year after year. Provincetown is an historic fishing village, art colony, and gay and lesbian resort on the tip of Cape Cod, surrounded by the Cape Cod National Seashore. It has been devastated by the AIDS epidemic. Although changing dramatically, Provincetown is a geographically isolated and economically depressed community, 50 miles from a hospital and large retail outlets, with one of the lowest per capita incomes in the Commonwealth of Massachusetts. The unemployment in the winter hovers around 50%. Provincetown’s beauty, carefree attitude, art and history continue to draw crowds of tourists here each summer to experience the magic and healing of this spiral spit of sand. 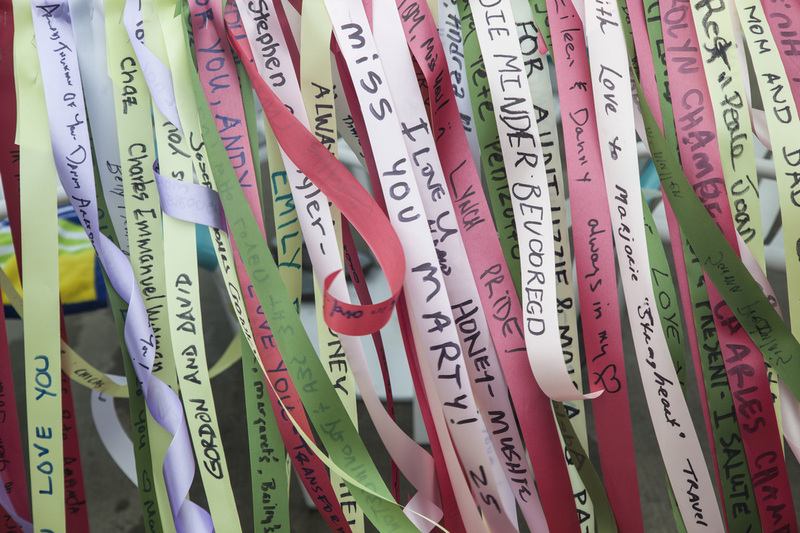 People from all over the country think of Provincetown as their spiritual home. It is this connection – and magnificent Provincetown Harbor – that inspired this quintessential community event. In the summer of 1988, Jay Critchley and Walter McLean wanted to test their swimming ability by swimming across Provincetown Harbor. That summer, many New England beaches were closed due to pollution, but the Cape-tip beaches remained swimmable. The two made the swim and two weeks later organized the first Swim for Life, which continues to celebrate the healing waters and ecology of the harbor, while raising money for local health services. 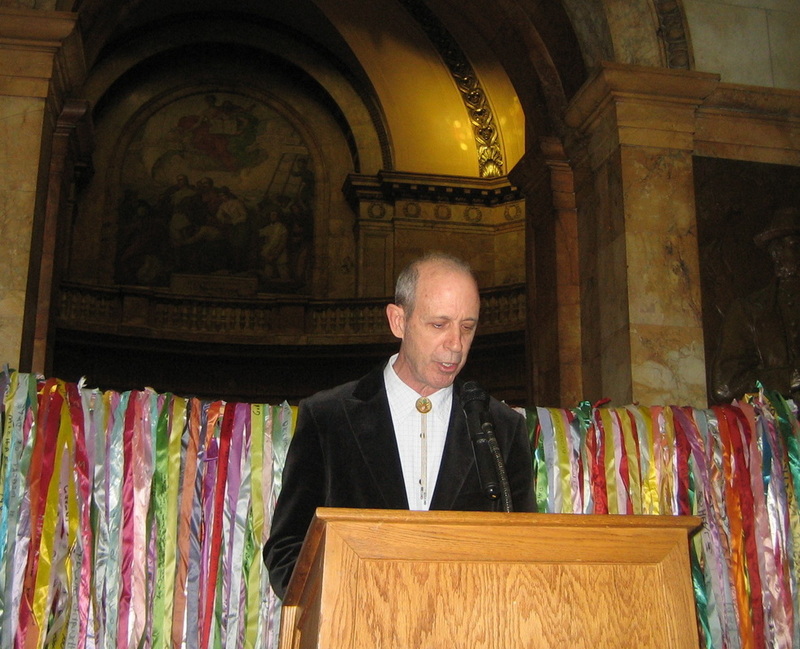 In 1993 the Provincetown Community Compact, Inc. was formed as a non-profit, 501 (c) 3, tax exempt organization, serving as a sponsor of the event. Always held the weekend after Labor Day and the busy tourist season, the event has grown to attract swimmers, kayakers, volunteers and friends from throughout the country and abroad. With the assistance of 150 volunteers and 400 swimmers, this annual fall ritual has become an event that defines the best of the Provincetown spirit.